Below you fill find all funeral homes and cemeteries in or near Natchitoches. Suburbs of Natchitoches: Natch, Nsu, Cypress, Hagewood, Irma, Northwestern. Natchitoches is also known as: Natchitoches Parish / Natchitoches city. Zip codes in the city: 71457, 71458, 71497. Natchitoches County funeral flowers can be purchased from one of the local funeral shops we partner with. Some of the notable people born here have been: Marques Johnson (actor and basketball player), Pat Listach (baseball player and coach), Petey Perot (american football player), Taylor Townsend (lawyer), Vince Williams (actor), and Robert Harling (screenwriter and playwright). Natchitoches is home to the following sports teams: Northwestern State Demons basketball. 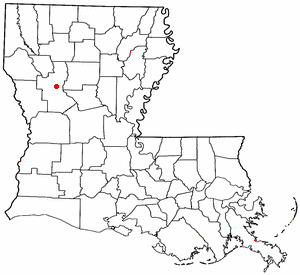 Natchitoches (/ˈnækətəʃ/ NAK-ə-təsh) (French: Les Natchitoches) is a city in and the parish seat of Natchitoches Parish, Louisiana, United States. 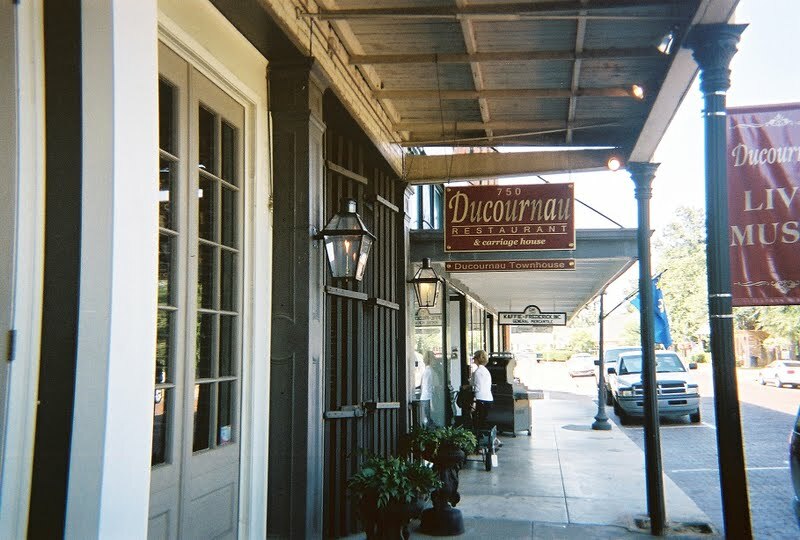 Established in 1714 by Louis Juchereau de St. Denis as part of French Louisiana, the community was named after the indigenous Natchitoches people.The City of Natchitoches wasn't incorporated until after Louisiana had become a state (1812), on February 5, 1819. It is the oldest permanent settlement in the region. Natchitoches' sister city is Nacogdoches, Texas. It was revealed on December 18th, 2018 that Corinne Ethel "Ethel" Chaffin (Tison) perished in Athens, Georgia. Ms. Chaffin was 97 years old and was born in Natchitoches, LA. Send flowers to express your sympathy and honor Corinne Ethel "Ethel"'s life. It was revealed by Athens Banner-Herald on December 17th, 2018 that Ethel Chaffin (Tison) died in Athens, Georgia. Ms. Chaffin was 98 years old and was born in Natchitoches, LA. Send flowers to share your condolences and honor Ethel's life. It was revealed by The Lufkin Daily News on August 24th, 2018 that Dorothy Lynch (Chatman) perished in Texas. Ms. Lynch was 76 years old and was born in Natchitoches, LA. Send flowers to express your sympathy and honor Dorothy's life. It was noted by The Reflector on August 23rd, 2018 that Patricia Yvonne "Pat" Oles (Stoma) died in La Center, Washington. Ms. Oles was 79 years old and was born in Natchitoches, LA. Send flowers to express your sorrow and honor Patricia Yvonne "Pat"'s life. It was revealed by The Reflector on August 23rd, 2018 that Patricia Yvonne "Pat" Boles (Stoma) passed away in La Center, Washington. Ms. Boles was 79 years old and was born in Natchitoches, LA. Send flowers to express your sorrow and honor Patricia Yvonne "Pat"'s life. It was disclosed by The Times-Picayune on May 5th, 2018 that Alice Thompson (Lonadier) passed away in Natchitoches, Louisiana. Ms. Thompson was 85 years old. Send flowers to share your condolences and honor Alice's life. It was reported by Monterey Herald on August 9th, 2017 that Alfred Jr "Sonny" Washington passed away in Monterey, California. Washington was 63 years old and was born in Natchitoches, LA. Send flowers to express your sympathy and honor Alfred Jr "Sonny"'s life. It was written by The Bismarck Tribune on January 22nd, 2017 that Helen Wickenheiser passed on in Bismarck, North Dakota. Wickenheiser was 94 years old and was born in Natchitoches, LA. Send flowers to share your condolences and honor Helen's life. It was noted on September 29th, 2016 that Cecil E Jr "Buck" Dale perished in Natchitoches, Louisiana. Dale was 73 years old. Send flowers to express your sympathy and honor Cecil E Jr "Buck"'s life. It was revealed by The Times at Shreveport La on August 25th, 2016 that Jabe W IV Maddox passed on in Natchitoches, Louisiana. Maddox was 39 years old. Send flowers to express your sympathy and honor Jabe W IV's life. Denis as part of Louisiana (New France) Louisiana, the community was named after the Natchitoches Indian tribe. The lake runs through the city’s downtown historic district and Plantation Country. The pilot was unable to climb over a pecan tree, possibly due to a fatal heart attack since he had excellent visibility. Natchitoches was the site of the 1973 plane crash that claimed singer Jim Croce's life. After the Louisiana Purchase, Natchitoches experienced a population boom, and several plantations were built along the Red River. The official website for the city of Natchitoches is http://www.natchitochesla.gov/. He grew up in Springhill and graduated from Northwestern State University in Natchitoches, La., and received his masters degree ... Belton, 76513. Hewett-Arney Funeral Home in Temple is in charge of arrangements. Listing all funeral homes in Natchitoches, Louisiana so you can easily send flowers to any location (same day delivery) or find any funeral service. Funerals in Natchitoches, LA on Yahoo! Local Get Ratings & Reviews on Funerals with Photos, Maps, Driving Directions and more. funerals in Natchitoches, LA 71457 on Yahoo! Local Get Ratings & Reviews on funerals with Photos, Maps, Driving Directions and more. Blanchard St. Denis Funeral Home provides complete funeral services to the local community. We work with local florists and flower shops to offer same day delivery. You will find budget sympathy flowers in Natchitoches here. Our funeral flowers are cheap in price but not in value.